Estela V. DeCastecker, DDS “I believe everyone deserves quality dental care that is compassionate and professional. That’s why I schedule plenty of time with each patient so I can learn more about their needs and provide a comprehensive treatment plan.” – Estela V. DeCastecker, D.D.S. A graduate of Case-Western University in 1996, Dr. DeCastecker performed a one-year residency at Metro Health Hospital and has practiced dentistry in the Mentor and Cleveland areas for over twenty years. She started DeCastecker Dental Specialists in 2008 so she could provide her patients with one-on-one dental care in a professional and friendly environment. Dr. DeCastecker and her staff embrace ongoing education as a key to delivering dental excellence. The latest techniques and advanced standards of care are built into all specialized and preventive services. The result? 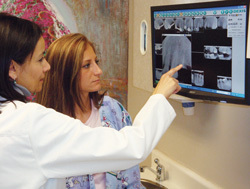 High-quality services with a personal touch rarely found in large dental practices. 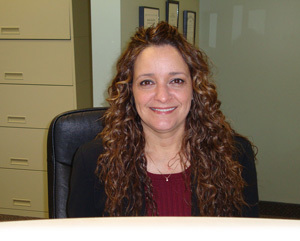 Sylvia has been in the dental/medical field for over 20 years. She started off as a receptionist, and worked her way up to a Manager/Billing Specialist. By attending insurance/billing seminars regularly, she keeps up-to-date with all dental industry changes. You can count on her to help you understand your dental benefits, so that you can always receive the most coverage possible for your dental needs.